“Our ambition was to bring together the people who are transforming online business education — business schools as content producers, online companies that are both technology platforms and distribution systems, and companies that want to invest in continuous professional development for their people,” said Geoff Garrett, Dean of the Wharton School. 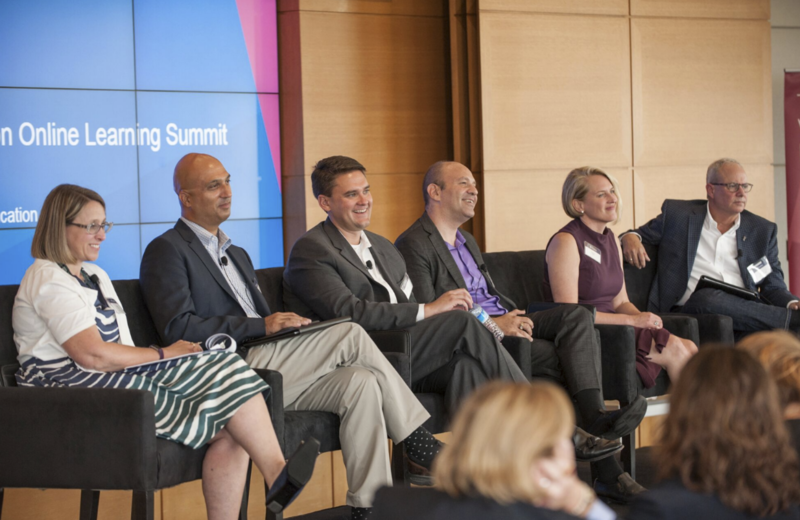 ExtensionEngine Partner, Furqan Nazeeri, participated in a panel moderated by Betsy Ziegler, Chief Innovation Officer, Kellogg School of Management, Northwestern University. The panel also included, John Palmer, Chief Learning Officer - AT&T, Susan Cates, COO - 2U, Lou Pugliese, Senior Innovation Fellow - ASU, and Mark Lester, Director of Strategic Partnerships - FutureLearn. The panel was titled, The Future of Business Education: What is the new normal for design and delivery of business education? What does it take to do participate in online business education (at scale and elsewhere)? What do we see for the future? The explosion of new, alternative credentials. “Everyone from students, companies and educators are trying to make sense of it.” This is clear especially when you look at the growth of startups in the area, such as Degreed. Overall it was an outstanding event, that we look forward to continuing long into the future. It's clear that the leading business schools are embracing online learning, not the exclusion of offline, but in addition. It's also clear for the best online programs, pedagogy is driving the platform, not the other way around. For a summary of key takeaways across the entire event, take a look at the writeup by Wharton’s Colleen Mullarkey.